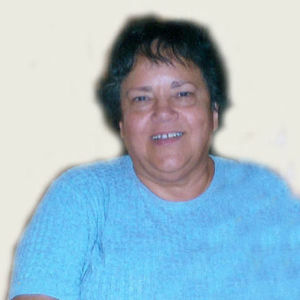 Linda M. Vetter, 63, Wahpeton, ND, originally Hague, ND, passed away Sunday, July 14, 2013, at Sanford Health, Fargo, ND. The Funeral Mass will be Friday, 11:00 a.m., at St. John's Catholic Church, Wahpeton. The visitation will be Thursday, from 5 PM to 8 PM with a 7 PM Prayer Vigil, at St. John's Catholic Church. There will also be visitation one hour before the service on Friday and a Christian Mothers Rosary at 10 a.m. Vertin-Munson Funeral Home has been entrusted with the arrangements. Linda was born April 2, 1950, at Linton, ND, the daughter of Mike and Magdalena (Hulm) Eberle. She grew up in Hague, ND, where she graduated from High School. She attended Business College in Bismarck, ND, before living and working in Spokane, WA. She enjoyed her time in Spokane, but returned to Hague to help out on the family farm when her father became ill. Linda was united in marriage to Tim Vetter on September 5, 1981, at St. Mary's Catholic Church, Hague. The couple lived in Wahpeton where they raised their two sons. Linda worked for several years at Richland County Abstract. Linda was an active member of St. John's Catholic Church, was a Circle Leader and belonged to the Christian Mothers. She enjoyed reading, cooking, gardening, sewing and crocheting. She especially loved spending time with her "Girls", her granddaughters. She will be remembered for her willingness to always being available to help others. Linda is survived by her husband, Tim, Wahpeton; two sons: Marcus (Catie) Vetter, Fargo, ND; Todd Vetter, Minneapolis, MN; two granddaughters, Grace and Mia; eight brothers and sisters: Rose (Ken) Silvernagel, Billings, MT; Walter (Judy) Eberle; Mike (Darlene) Eberle; Marty (Sandy) Eberle, Barb (Jim) Schmaltz, all of Spokane, WA; Rodney (Bonnie) Eberle, Hauge, ND; Marietta Brophy, Fargo; Elaine (Kenny) Wikenheiser, Linton, ND; and several nieces and nephews. She was preceded in death by her parents, her brother, Joe, and a brother-in-law, Pat Brophy.